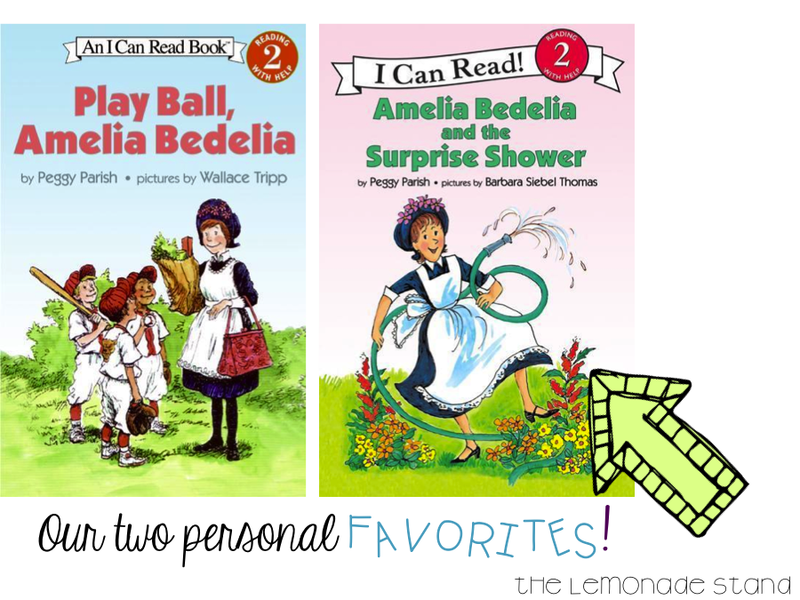 Amelia Bedelia is one of my favorite girls! When we read her books, I just love how the kids crack up. They get so excited in anticipation of what she's about to do next. 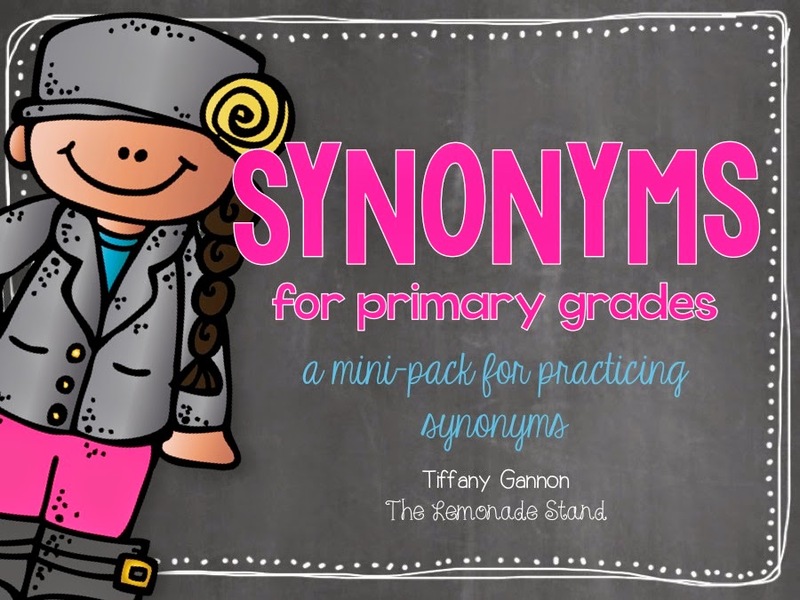 She is always mixing up the meaning of those multiple meaning words, much like our little ones can be prone to do. So, it's always fun to put a humorous spin on the concept. 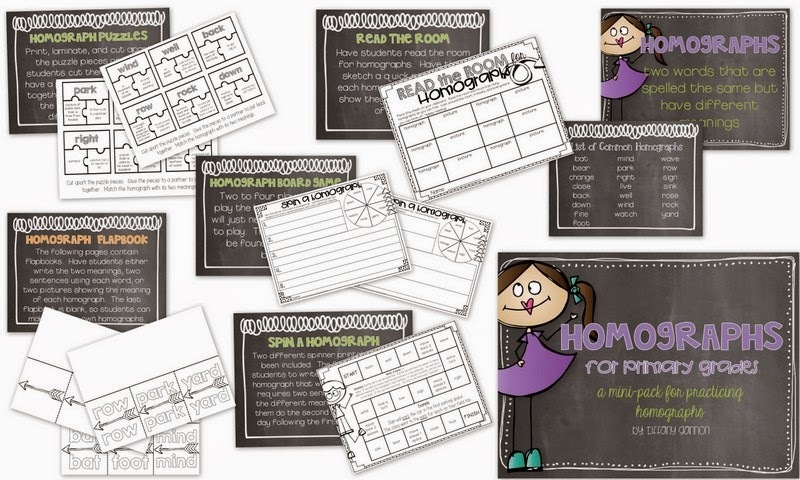 I always use Amelia Bedelia to teach the various multiple meaning words, such as homophones, homographs, and homonyms. 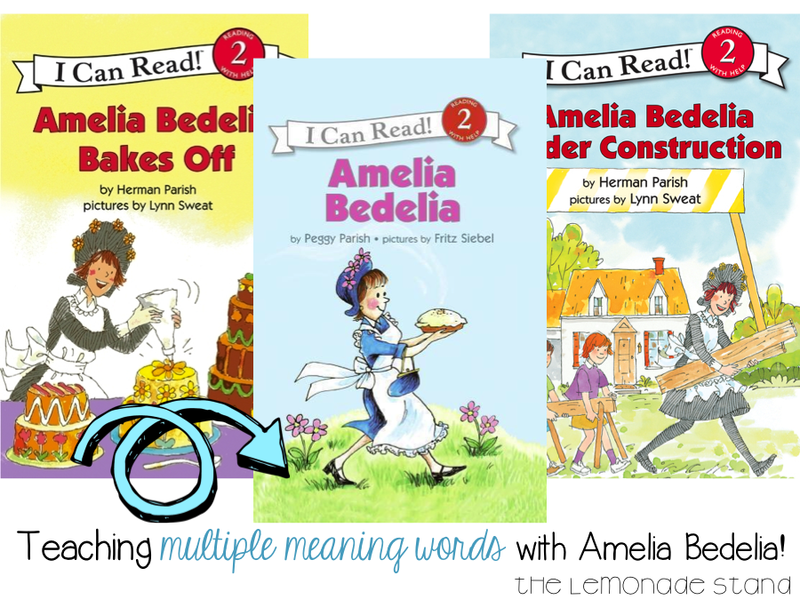 I always tell my students not to be an Amelia Bedelia, which they take to heart! 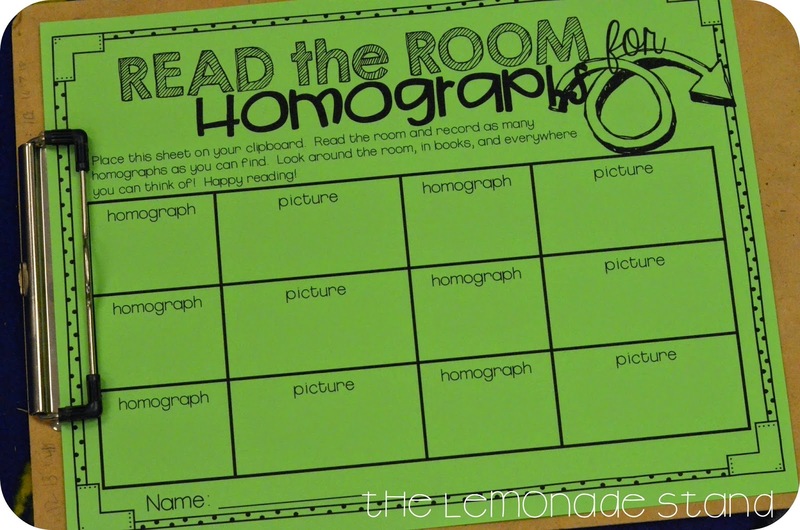 We covered homographs a couple of weeks ago and read an Amelia Bedelia book each day to get us warmed up. 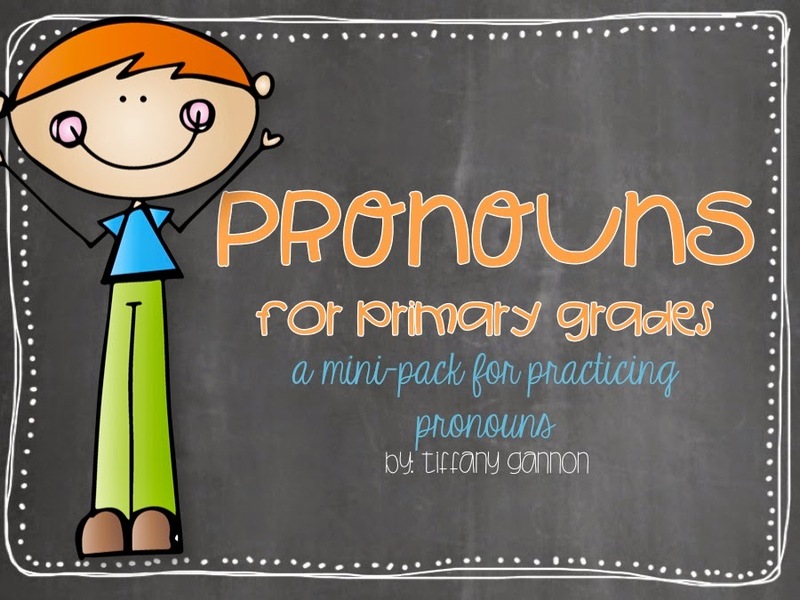 We hunted through the text each day for multiple meaning words and especially for homographs. 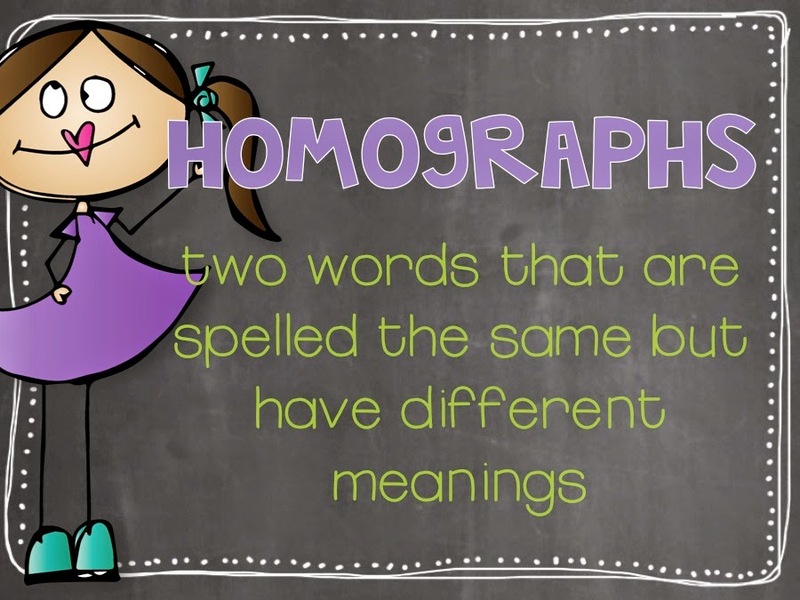 Homographs are words that are spelled the same and sound the same but have different meanings. 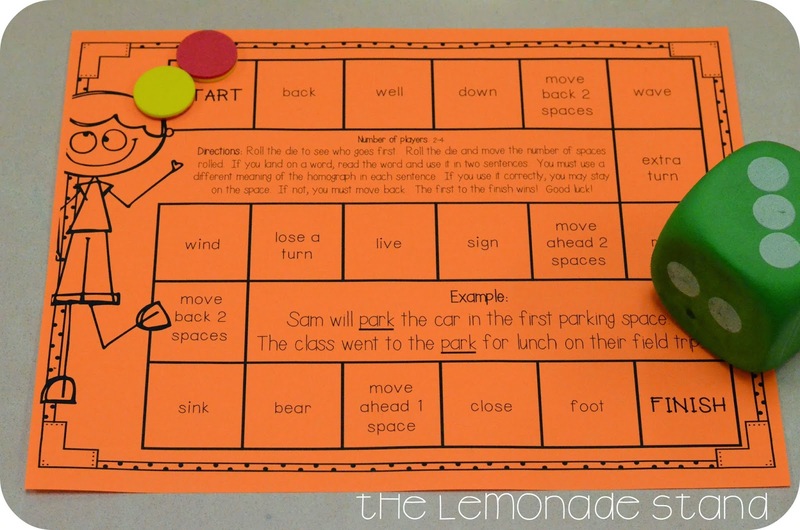 Each day, we also had a fun little activity to go along with homographs after we read the story and went on our text hunt. We had a variety of flap books. They got to illustrate the two different meanings of each homograph inside the flaps, which they got really into. 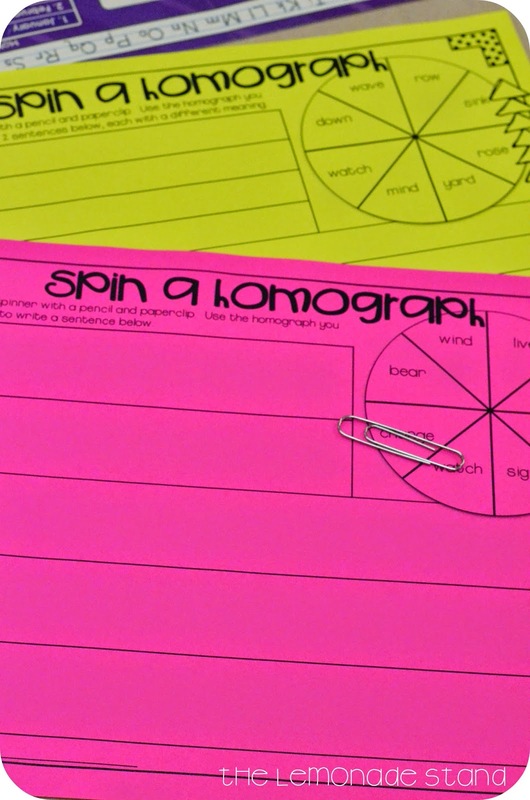 I also had a blank one for them to choose their own homographs. 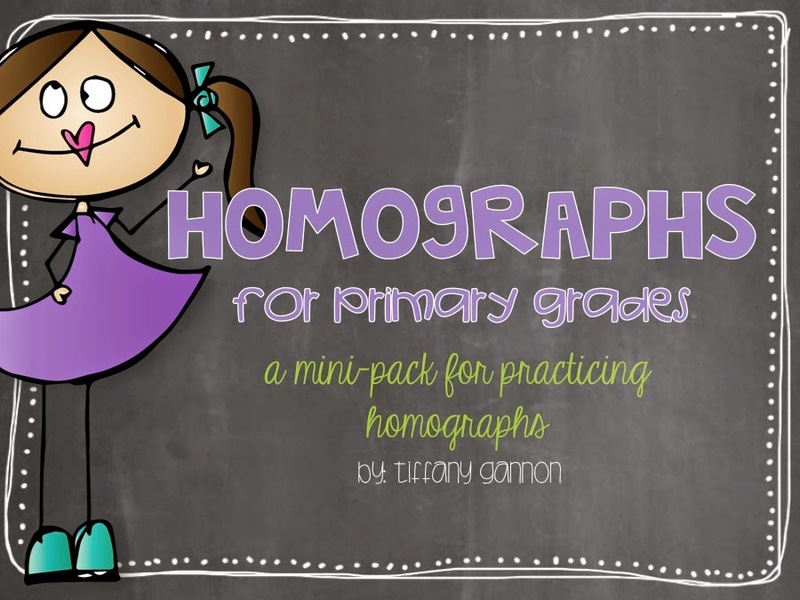 I displayed a list of homographs on the SMART board for them to refer to. 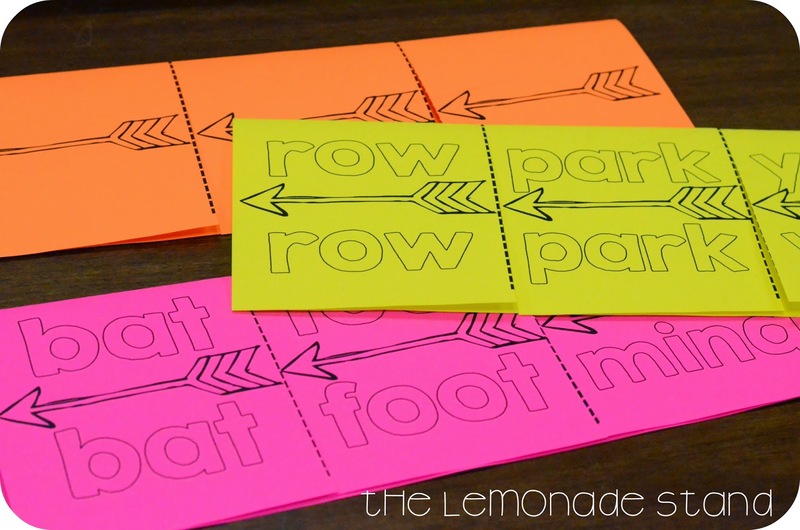 You could also have them write sentences using the words if you wanted. We actually read the room first and then looked through books for more homographs another day. This got them up and moving and generated some great conversation. Finally, we played this board game with our table groups. I forgot to take a picture of the puzzles they completed, too. They cut apart puzzle pieces and gave them to a partner to put together. Then, they checked each other's puzzles. 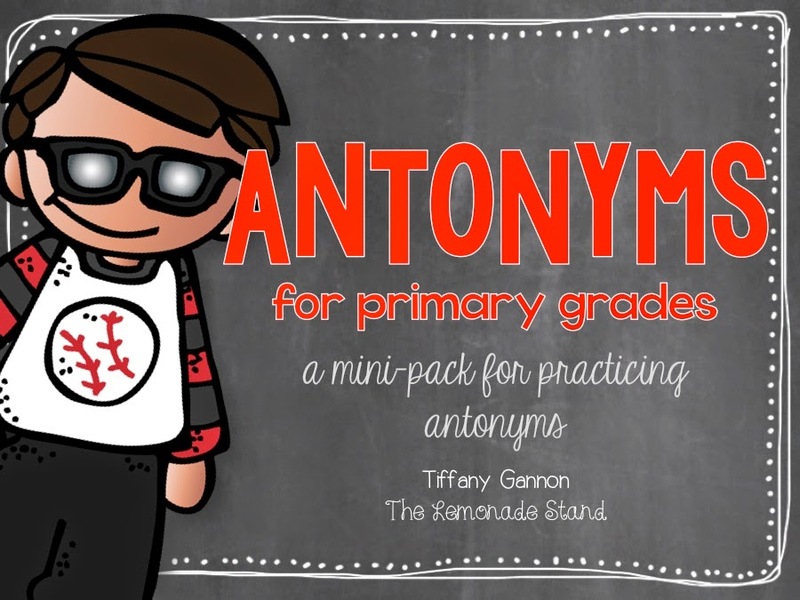 I displayed this visual reminder on the SMART board while they were working each day. 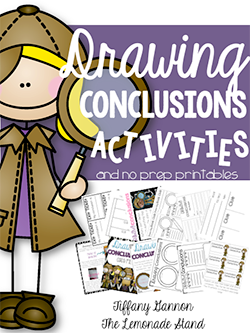 This and all of the above activities can be found in my mini homograph pack below. 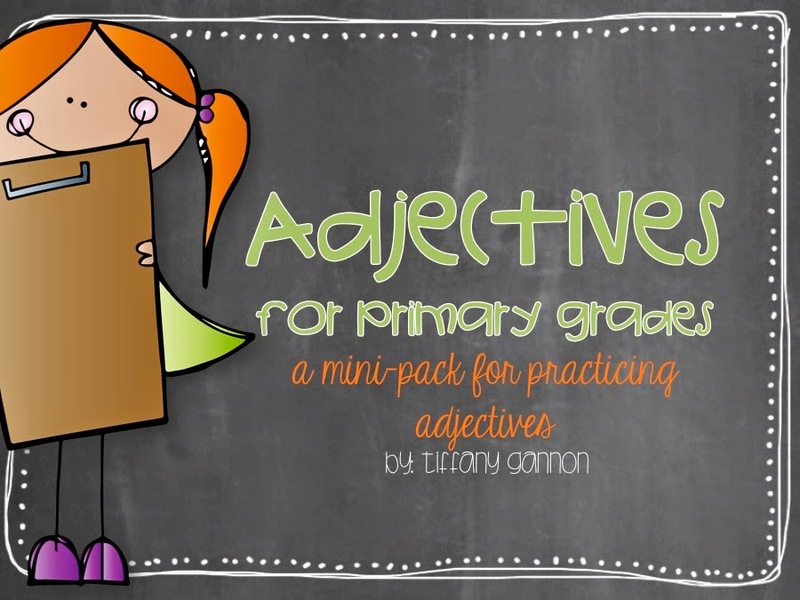 If you need some other grammar packs, check out the ones below that I have made so far. I am currently working on more. 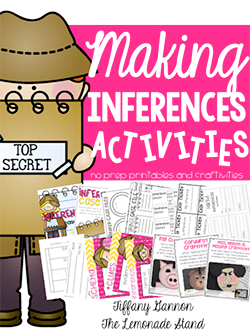 I like them because I include 5 activities per pack that can easily be incorporated into a weekly unit. 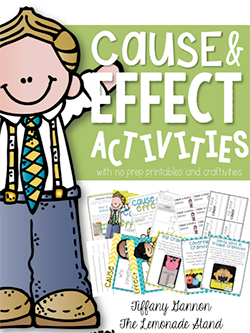 Plus, they require absolutely no prep! I am all about easy print and go! 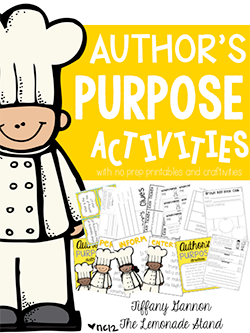 Our first grade classes are just finishing up a unit on Amelia Bedelia and the kids are loving it! Thanks for sharing your ideas. قد تشعرين أحياناً بالإرهاق والتوتّر خصوصاً عند التفكير في أعباء المنزل. لستِ وحدك من يشعر بذلك، فالجميع يتعب عندما يجد نفسه مضطراً للموازنة بين عمله وأمور المنزل والوقت الخاص بالعائلة والأنشطة الاجتماعية التي لا بدّ منها من وقت لآخر. كل ما تحتاجين إليه هو تخصيص بعض الوقت لتنظيم حياتك لتعود إلى مسارها الصحيح، ودائماً ما يكون البدء بترتيب المنزل أفضل خيار للتحكّم بزمام الأمور. يتطلّب تنظيم المنزل القيام بمجموعة من الأعمال المختلفة، منها الترتيب والتخلّص من الأشياء غير المرغوب فيها وتنظيف كل المناطق وتطهيرها بغضّ النظر عن حجم المنزل. قد تبدو عملية تنظيف المنزل صعبةً ولكن باتباع هذه النصائح المُفيدة، يمكنكِ إنجاز المهمّة بسهولة والحفاظ على الترتيب على المدى الطويل.